It’s a fact, Facebook has a ton of features for its advertising platform. The precise targeting, seemingly endless data points, and automated help Facebook provides are all reasons why advertising on Facebook is so efficient and effective — and arguably, unrivaled. Some of these features are naturally more well-known than others though. And while the others may get lost in the shuffle or buried in the multitude of options, they are still extremely useful. 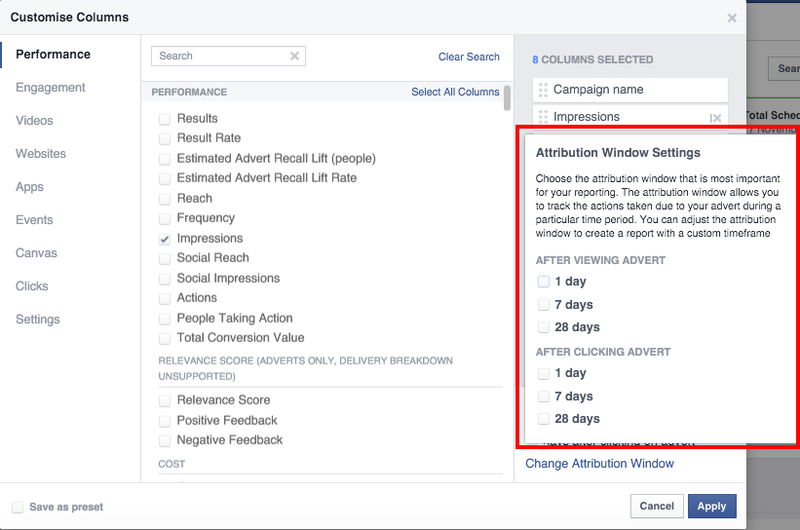 So, the next time you go into Facebook to build your next ad campaign, give a little consideration and love to the following 10 commonly overlooked Facebook ad features. Everyone knows the story by now. Instagram launches in 2010, experiences exponential growth, and then is bought by Facebook in 2012. 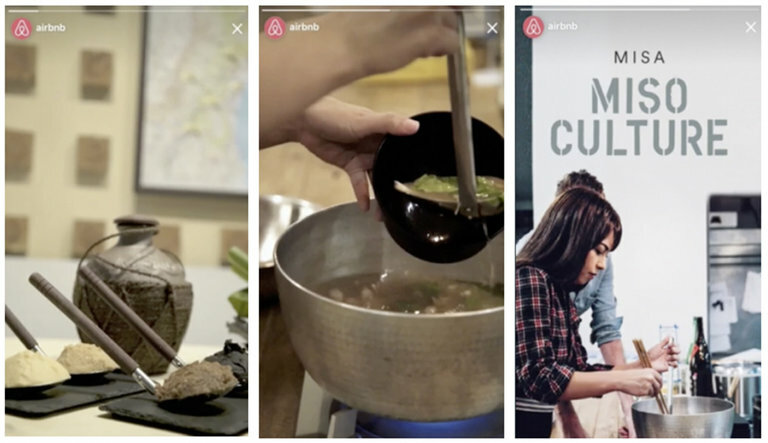 Facebook subsequently began allowing Instagram advertising through its own Power Editor and Ads Manager, and has now rolled out advertising in Instagram Stories. Facebook makes it easy to build ads for Instagram and since it’s a relatively new feature, there’s still a lower adoption rate. As such, the combination of first mover advantage available and Facebook’s targeting capabilities on the channel make advertising on Instagram very appealing for brands. Besides basic targeting elements like interests and demographics, you can also target behaviors of Facebook users. Some of these behaviors can include travel, purchase behavior, and digital activities — getting down to the granularity of whether a person is about to move or have a significant upcoming life event. Facebook uses data from third-party partners to determine users’ online and offline purchase behavior. After matching up that data with user IDs, Facebook lets brands target audience segments based on these behaviors. Behaviors can be incredibly powerful for brands when trying to reach audiences who are in the right mindset or situation to be receptive to brand messaging or offers. Lead Ads provide brands with the opportunity to have audiences register their emails to receive more information. With Lead Ads, brands can acquire contact information and answers to up to three other questions. In addition, Facebook even syncs user data to pre-fill as many answers as possible and the forms are available natively within Facebook so that a user never has to leave to a landing page. In some cases, Lead Ads have resulted in a 4x reduction in brands’ cost per lead (CPL). 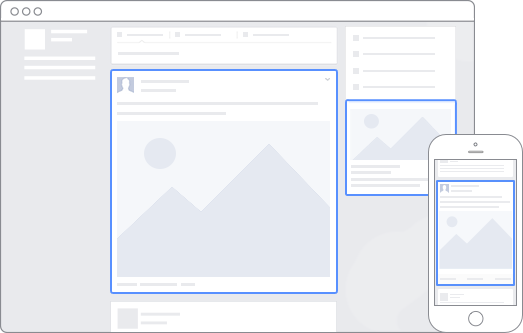 Facebook’s pixel tracks actions that happen on websites as a result of a brand’s paid ads (in addition to their organic posts). The pixel also allows brands to accumulate user data and profiles to create lookalike audience models to target on Facebook and/or retarget users who have interacted on a brand’s site. To get started with Facebook’s pixel, all you have to do is add some code to any pages you want to track — for which Facebook provides detailed instructions on implementing. Facebook also allows you to pixel individual ad sets through Power Editor. Some examples of actions that can be tracked adding an item to a cart, viewing key pages, making purchases, and completing registrations. 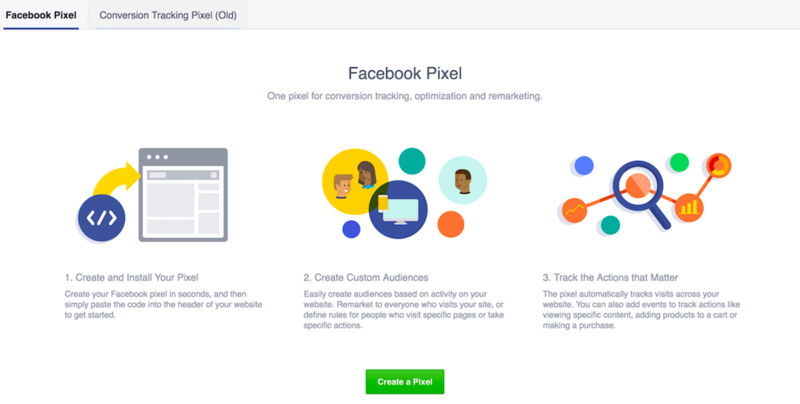 The tracking pixel will help your brand measure conversions, optimize ads and targeting, and gain insights about the Facebook users visiting your website. As mentioned in the previous section, lookalike audiences can be one of the most effective targeting methods on Facebook. A lookalike audience is a targeting criteria where Facebook generates audience segments comprised of models based off of a brands current audiences, which can be developed from database or website information. 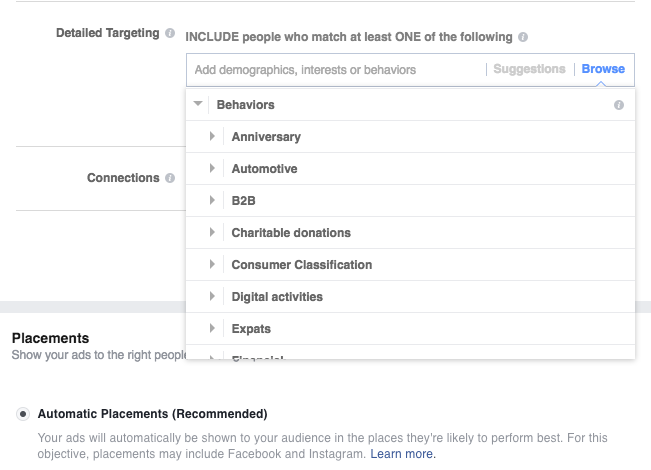 To create these audiences, Facebook matches users with their Facebook profiles and generates targeting cohorts based on similarities in all of the targeting criteria available on Facebook like demographics, interests, and behaviors. Once these audiences are determined, brands can begin to target ads to these groups that similar to the most qualified customers or leads. Facebook Slideshow Ads are video-like ads that use motion, sound, images, and text to tell a story without the file size, production needs, or internet speed factors that can hamper video ads. To create Slideshow Ads, you can upload three to seven still images and choose the length of the slideshow, from 5 to 15 seconds. The resulting Slideshow Ads auto-play and include transitions to make them appear like videos, while the units can be up to five times smaller than traditional videos and load quicker for those with poor internet connections. For small businesses, Slideshow Ads can be cheaper and easier to create than videos and for international companies, the ads can be single units that work just as effectively for people with slow connections as fast ones. Facebook remarketing allows brands to reach people who have interacted with the brands’ website or app (think display remarketing). Remarketing can be conducted through Facebook pixel and/or tag implementation on your digital channels. Then, ads can be triggered to appear on Facebook based on certain site interactions or page visits. The advantage of Remarketing ads is that they can be much more specified and tailored than typical Facebook ads. 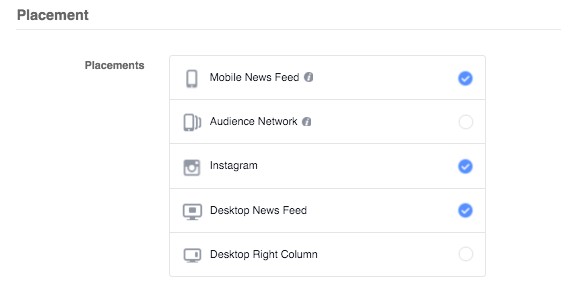 Facebook’s segmentation options also allow brands to include or exclude specific pages & domains, as well as choose the remarketing window length. Dynamic Remarketing can further utilized through Facebook’s remarketing capabilities and be helpful in campaigns such as cart abandonment or lead nurturing. With these, the creative and copy of ads dynamically changes based on what products or pages audiences have viewed. Facebook ads can appear in multiple locations and across multiple devices. 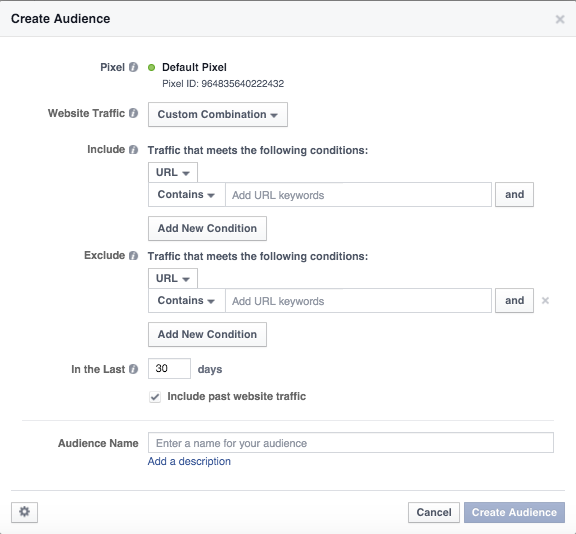 Facebook can optimize ad placement based on performance and the goals you set. However, there are requirements for each placement like character limits and image sizes that may not be the best suited for a one size fits all approach. A lot of times, it can make more sense to segment campaigns (and their associated creative) by placement — especially if manual bids or a clicks goal are set. When determining performance, the little-used ‘Breakdown’ drop-down helps you understand how ads are performing per placement. With the learnings from this drop-down, you can optimize current campaigns, segment future creating, or set tests for future campaigns. Another Facebook capability that can be overlooked is attribution models. You can find attribution models under ‘Manage Adverts’ > ‘Columns’ > ‘Customize Columns…’ > ‘Change Attribution Window’. Attribution models are essentially the guidelines for how conversions are registered including the timeframe after an interaction with an ad should be counted to that ad and the conversion metric used. This level of understanding is important to ensure you know the value of your conversions, how they compare to other networks (if they’re all aligned in attribution), and have full control in knowing that the metrics being reported are, in fact, contributing to bottom line objectives. Conversion lift can further help brands understand the true impact of their ads beyond the typical social media metrics that may be difficult to tie to larger business objectives. Facebook has a ton of features for its ads platform, and the sheer multitude of features can lead to many being overlooked. Hopefully with this list here, you can find some new elements to try and advance your Facebook marketing — and maybe even find even more attributes that aren’t listed. Digital marketer with a focus on digital marketing innovation and brand development. He is currently a Senior Digital Strategist at Hill Holliday, a full-service marketing and advertising agency based in Boston, Massachusetts.